As international trade and development has increased over the past century, it has become vital for managers to be able to adapt to the effect on their business. Technology has played a major part in the globalisation of businesses, bringing countries and continents closer. It is as important as ever for professionals to adapt with these changes in both communication and cultural barriers. At the same time that international trade barriers have been eroded through easier travel and increased technology, there has been a social and ethical change in the way that business conducts itself in terms of sustainability. Pressure on organisation to meet climate change targets and reducing the use of the Earth’s resources, means that businesses are constantly looking to adapt to new regulations and the ethnical expectations of their clients. In my own industry, there are now primary contractors who will refuse to trade with companies who fail to buy sustainably sourced timber under the Programme for the Endorsement of Forest Certification (PEFC). PEFC has recognised certification systems in 38 countries. Together these account for over 275 million hectares of certified forests, making PEFC the world’s largest forest and wood product certification system. This is just one small example of how managers are expected to constantly adapt to global challenges and ongoing personal development assists employees in understanding what these changes are, how they are relevant to their business and how to achieve them. A Corporate Social Responsibility (CSR) policy functions as a self-regulatory mechanism whereby a business monitors and ensures its active compliance with the spirit of the law, ethical standards and national or international norms. In layman’s terms, a company with an active CSR policy goes above and beyond what is expected by it whether for the benefit of communities, research and development or charitable work. Most of us will utilise the services of organisations which have an active CSR on a daily basis with perhaps not even realising. As an example in the retail sector, The Co-operative has a CSR in which it aims to provide “self-help, self-responsibility, democracy, equality, equity and solidarity”; none of which would be required for it to trade but which helps benefit others both in local communities and in other countries through it’s Fair Trade scheme. Other examples include power companies which attempt to obtain as much energy possibly from renewable energy sources – such as HSBC which plan to use a minimum of 25% of their global fuel use from renewables by 2020. Meanwhile, customers are increasingly coming to expect companies to have a CSR in place and may choose to conduct business with such a company on this basis as a preference to a company which does not. This increased trend means that managers need to understand how a CSR can affect their business and be able to adapt accordingly. In 1968, Dr. Edwin A. Locke developed the Goal Setting Theory which argues that human behaviour is linked cognitively with goal setting. The theory argues that a person is much more likely to achieve their goal by setting specific goals (e.g., I want to earn £500 more a month) generates higher levels of performance than setting general goals (e.g., I want to earn more money), and that goals that are hard to achieve are linearly and positively connected to performance: the harder the goal, the more a person will work to reach it. 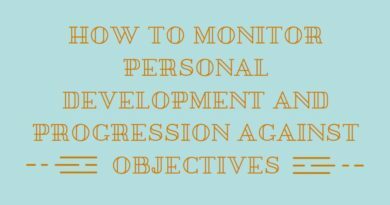 Many professionals have since gone on to support this theory, which has led to the development of SMART targets (specific, measurable, achievable, realistic and time-bound). Many people are wary of change, especially in the workplace. Some managers may also adopt the use of change management models which can have various connotations but which all aim to help organisations adapt to change. Some may work on a simple 3 step approached such as Kurt Lewin’s Unfreeze – Change – Refreeze model. This model is used as an analogy to demonstrate changing a block of ice in a remodelled or adapted shape. Another example is John Kotter’s 8-Step Change Model which is designed to motivate employees for change and give them the opportunity to get involved in change. There are other examples of where managers may use physiological processes to help them gain the respect of employees or get them on-board for changes in the workplace. Nevertheless, the importance of using these tools is as important now as it ever has been. It allows for adaptation and creativity; vital abilities in today’s fast paced society. In these examples, our business ecosystem was altered in either a permanent or temporary way and as a manager we had to adapt to those changes. This was either by exploring alternative suppliers, adjust pricing to compensate or changing working methods to accommodate changes in regulations. There are few people who are lucky enough to go to work for the fun of it and many more who would like to reduce their working hours to instead spend more time with family, perhaps pursuing hobbies or travelling. This means that employees are increasingly looking for ways to either maintain financial security whilst working less, or working harder, to increase their expendable income to allow them to spend more time doing the things that are important to them personally. The world is a fast moving place, which is constantly changing. Managers need to be adaptable to changes in their markets as without the ability to adapt, organisations will ultimately fail. In my opinion, for a personal development plan to truly be successful, it must empower an individual to plan their goals around the harmony of the organisations and industries which they strive to work in. The moment that someone finds themselves working in a situation where they are uncomfortable or a moral or personal level, it is highly likely to result in them losing interest, reducing their input and looking for alternatives outside of an organisation. I have personal experience of just this. In my previous role I was employed by an insurance company which was owned in part by a firm of solicitors. Over time, the company moved away from insurance claims are directed their efforts towards the personal injury claim market. From a financial standpoint there was a lot of potential for a quick injection of cash; personal injury claims carried high referral rates. 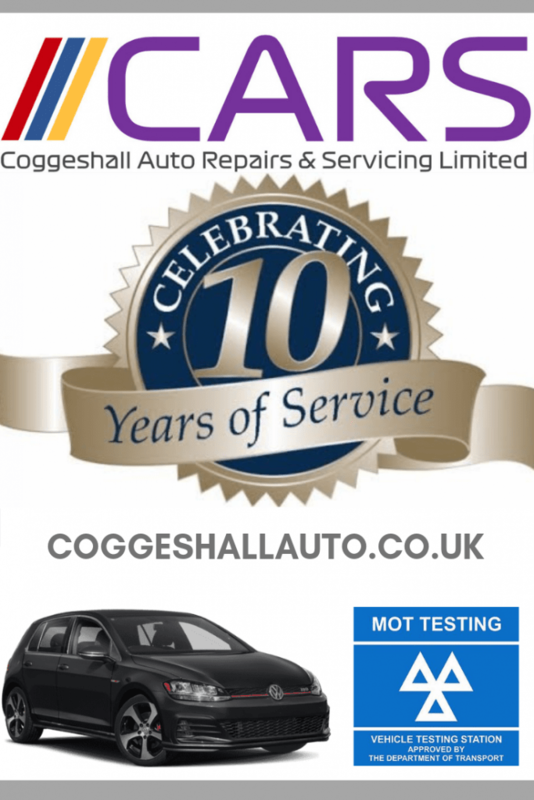 Due to my knowledge of website design and Search Engine Optimisation I was asked to develop a number of websites aimed at capturing enquiries. Initially, I was quite happy that helping people get the legal advice they needed was a worthwhile cause, however, things quickly took a direction which I was morally uncomfortable with. I was asked to look at specifically targeting phrases such as “sue the NHS” which became difficult for me to do at a time when reports were beginning to surface of a black hole in NHS funding. I had no interest in being part of the “ambulance chasing” industry and quickly began to lose interest in my work (as well as struggling with the moral affect outside of work). Although I raised this with my manager, it fell on deaf ears, and I decided it was time to look for a change in career with a new company. This is an example of how our own values can affect our decisions and plans for developing our careers. As well as moral values, there may also be a social aspect between colleagues which can affect how a person plans for their career development for the future. We spend a considerable amount of time with our colleagues, and good working relationships can considerably affect our decision to stay with a company or move on. We can use this model to increase commitment and engagement in a team, while also helping people to experience a greater feeling of well-being and job satisfaction. In turn, this can encourage employees to feel a sense of commitment to an organisation to assist in better retention of talent (which is discussed in more details in section 1.3). 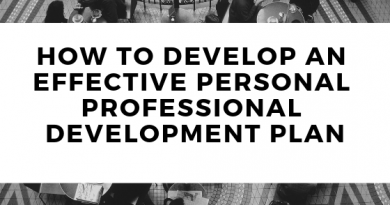 As much as an employee may have aspirations for their personal professional development, there are likely to be times when those plans need to be altered. I have already discussed the need for managers to be adaptable, and as organisations grow or change organisational restructuring may be necessary. This may mean that professional and personal development plans are bought forward (such as an unexpected opportunity for promotion), amended (perhaps because a new opportunities become available or new learning opportunities become available) or perhaps put on hold (in the case of redundancy). Although downsizing within an organisation may mean staff redundancies, it may not always mean that personal development is affected negatively. In fact, downsizing may mean that an employee if given additional responsibilities or offered the opportunity to bring their plans to develop their career forward. With growth come new opportunities, which may result in new positions becoming available within an organisation. The CIPD describe succession planning as “the process of identifying and developing potential future leaders or senior managers, as well as individuals to fill other business-critical positions, either in the short or the long-term”. As employees move on to new role, leave an organisation or perhaps retire, it is vital for an organisation to have a clear vision of anyone within the organisation who may be suitable to promote to or replace a role. Through proper professional development planning, managers can have a clear vision for the organisation to ensure that it continues to opeate at expected levels whilst also making use of their existing manpower. Talent management is a set of integrated organisational workforce processes designed to attract, develop, motivate and retain productive, engaged employees. The health charity The Kings Fund refers to this as “developing leadership not just leaders” which is an excellently short way to describe how it is import to attract, train and retain talented people who are prepared to work within the ethos of an organisation and remain with it. Without correctly managing our most talented people to keep them on-board, we risk losing them. Planning one’s own professional development provides a plethora of benefits. Professional development planning helps to provide pathways to promotion, develop new learning opportunities, advance existing skills (or learn new skills) and increase employability. 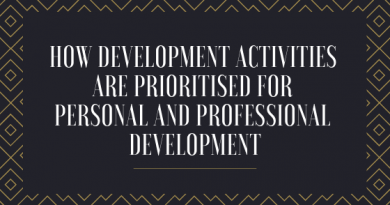 In addition, professional development can help to increase our own commitment, make us more effective in our roles and help us achieve our business objectives. In my personal opinion, planning professional development shows a commitment to myself which in turn increases my own confidence in my role and for my professional future. It’s one of the reasons I’m writing this Unit right now! In addition, planning our personal professional development helps us to realise where our existing knowledge may be lacking and helps to bridge those gaps by using the learning tools available to us. Finally, planning one’s own personal professional development keeps us interested and interesting!